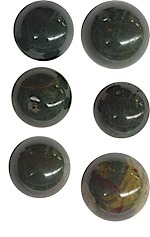 Item #GSE-269: 29mm Jasper Hematite Sphere; Black with Red banding. Item #GSE-156: Approximately 38mm Owyhee Picture Jasper Sphere; Tan with Gray, dark Brown and some Green. Item #GSE-144: 40-44mm Madagascar Orbicular Jasper Sphere; assorted Green, Pink and Gray. Item #GSE-157: Approximately 46mm Owyhee Picture Jasper Sphere; Tan with Gray, dark Brown and some Green. 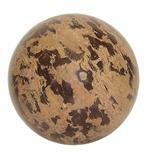 Item #GSE-370: 55-59mm diameter Madagascar Orbicular Jasper Sphere. 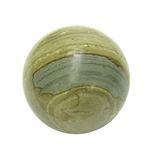 Item #AM-GJ-125: 56-58mm diameter polished Green Jasper sphere. Item #GSE-372: 60-65mm diameter Madagascar Orbicular Jasper Sphere.